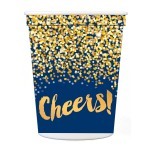 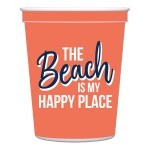 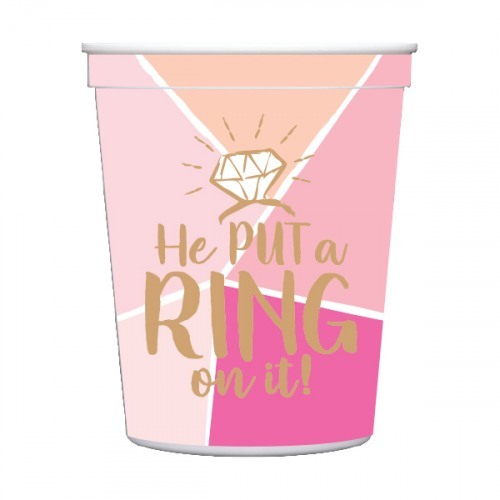 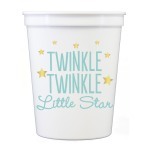 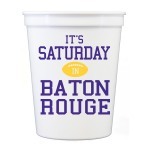 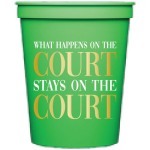 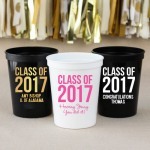 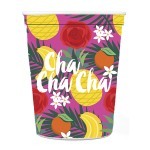 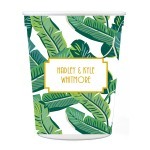 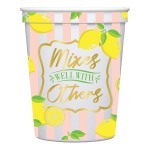 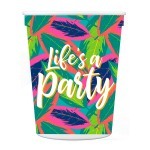 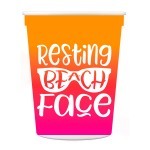 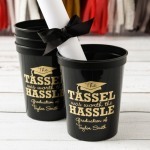 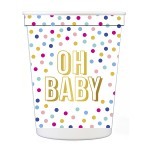 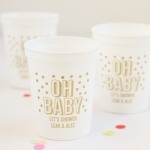 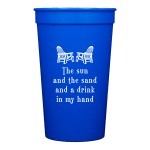 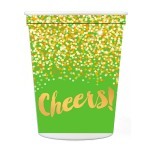 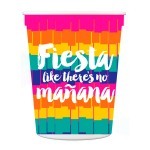 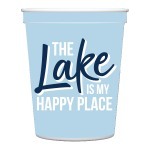 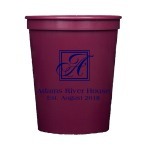 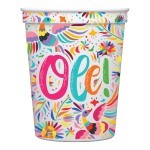 These plastic stadium cups have a bold geometric pattern that's ready for the wedding with the phrase "He put a ring on it" in gold and fun diamond ring icon. 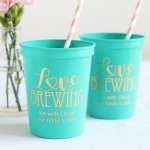 The shades of coral and pink will blend seamlessly with other decorations and party ware for your bridal event. 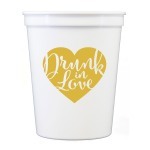 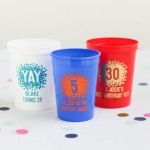 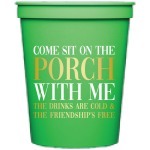 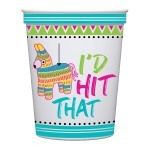 Perfect to use at engagement parties, bridal showers, bachelorette parties, and other events leading up to the wedding.